Memory plays many funny tricks on us. For example, when we talk in general terms about a government, we tend to say it was a “good” or “bad” government. The finer points of history — that most governments start out pretty wobbly, hit a sweet spot then head for a gradual decline to political and/or policy ordinariness and eventual defeat — can be lost or forgotten. The striking thing about the Abbott/Turnbull/Morrison Government that has technically been in government — though not always able to govern itself let alone the rest of us — since 2013 is that it is hard to say exactly where its sweet spot was. That is, what was the period when it was functioning reasonably well in the circumstances and getting on with stuff? Asking people around Parliament House over the past week or so to nominate the Coalition Government’s sweet spot, they struggled — but most eventually put it at varying points in the Turnbull era. While the internal warfare continued and constrained the government, while the then prime minister appeared unable to move within these constraints, there was at least some sense of coherence in the way the place was run. By contrast, the sense that the Government is now in full death-rattle mode is more of a consensus opinion, to the extent that there was a widespread view as MPs and senators went home on Thursday and Friday that — as was canvassed in this space a few weeks ago — it was just not a viable option for the Government to come back and sit out a period until a May election. The shambles in Parliament in the past few days may have given the Coalition a short-term breathing space, in that it avoided a humiliating defeat on asylum seekers, but it has also left a range of unresolved problems to contend with when (and if) Parliament returns for its nanosecond appearance in February. It still faces a defeat on asylum seeker policy in the House of Representatives. Key planks of what passes for energy policy — including a policy of forced divestment of energy assets, which seems to counter everything the Liberal Party is supposed to stand for — will also never see the light of day. It is not a good sign for the Government’s political fortunes, if it does indeed plan to survive until May, that the Prime Minister felt compelled to bring out the nuclear option on Thursday: a combination of attacks on Labor on those Coalition staples of national security and border security. 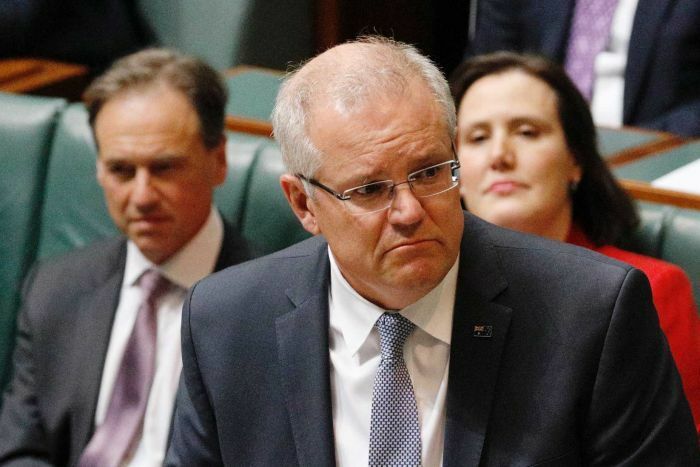 Opposition Leader Bill Shorten, Scott Morrison told a Canberra press conference in his most indignant voice on Thursday morning, is “a threat to national security”. The Leader of the House, Christopher Pyne, tweeted (but subsequently deleted) that “Labor has chosen to allow terrorists and paedophiles to continue their evil work in order to engage in point scoring”. Mr Morrison continued the attack on Friday morning on commercial television, repeating his assertion that Mr Shorten was a “threat to national security” and was “dragged kicking and screaming” to passing a bill increasing police powers to access encrypted messaging apps, despite the Opposition passing a bill to deal with this late on Thursday night. “You don’t try and play politics with these things,” he said. No you don’t, except apparently if you are Scott Morrison, the man who floated the idea of moving Australia’s embassy to Jerusalem during a by-election, without consulting the defence or foreign affairs establishments. Labor has believed for some time that an increasingly desperate Government would gear up for an attack on these security issues, on the basis that it has always worked for them before. This seemed to be the reason why, all of a sudden last Friday, a cooperative process of consultation and negotiation on proposed encryption laws through the powerful Parliamentary Joint Committee on Security and Intelligence suddenly closed down. 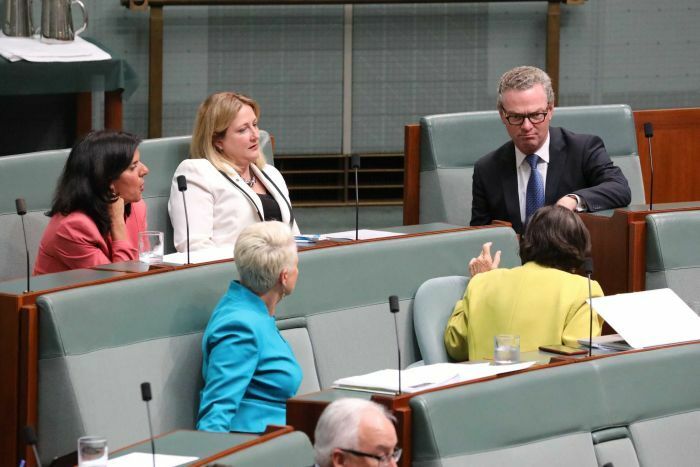 Government ministers emerged over the weekend on cue to attack Labor as friends of terrorists before a further U-turn in which Attorney-General Christian Porter signalled a return to a sensible process, but one hampered by the looming closing of the Parliament. The political plan was clear enough to prompt Labor to make the pragmatic decision on Thursday night that it was not going to give the Government a free kick on this over the summer. And it decided to let the encryption bill through. The grim spectre that a desperate Government might go as far as to blame Labor for any terror attacks over the summer hung in the air. But will the scare campaign work? But the really big political question here is: does this stuff work anymore, and does it work from a Government that is so conspicuously dysfunctional and opportunistic? You might remember that it was only last week that the Government was arguing that its fight with Labor would be over economic management. But after another appalling week of disunity, and humiliation in both houses of the Parliament, in which the crossbench was able to make asylum seeker policy an issue over which the Government had no control, the Prime Minister apparently felt there was no option but to ramp up the security rhetoric to 11. The Government, in its panic, still thinks it can play on the electorate’s strong views on border protection. But polling in recent months suggests the gap between the parties on both borders and national security have closed significantly. Further, the issue of border security has become more complicated because of the growing electoral and political unease about the five-year detention of asylum seekers. Neither side of politics seems prepared to move from the status quo of boat turn backs, temporary protection visas and offshore detention. But the fact the Government is now trying to make a virtue of the fact that it is getting children off Nauru shows the politics of the issue have become more complicated. And the fact that the crossbench has emerged to argue for more changes in policy — that realistically are still only at the margins — shows there is a sense abroad that the politics of this issue have shifted. The Government goes into the holiday season without any clear policy framework from which to fight the next election beyond “we aren’t Labor”.